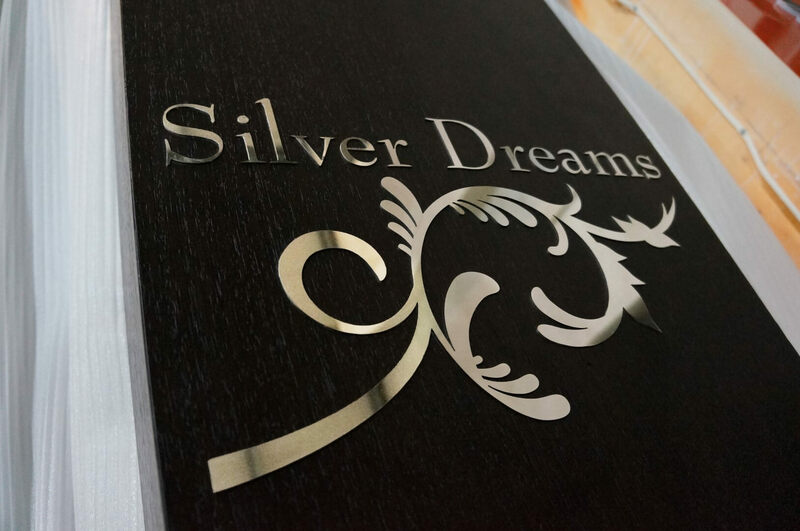 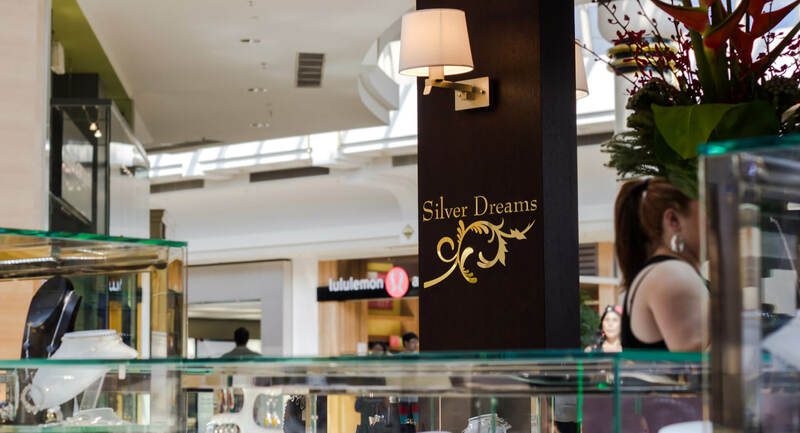 Among our first kiosks, Silver Dreams has stood the test of time. 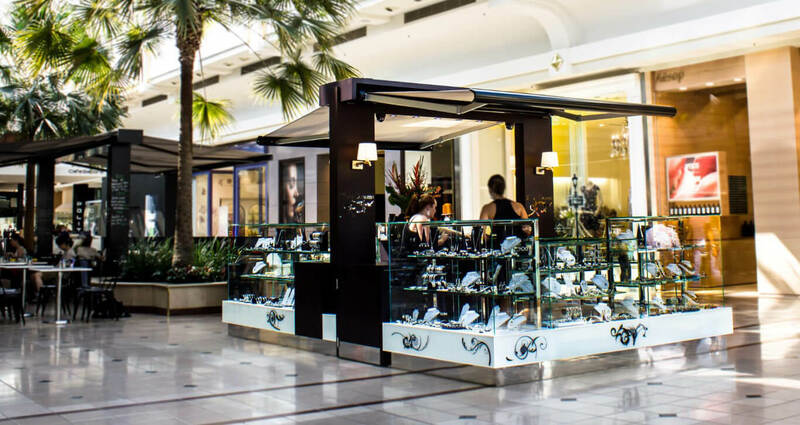 In fashion capital Chadstone, it’s a high-end silver jewellery kiosk glinting with polished stainless steel, Starfire clear glass and LED illuminated showcasing. 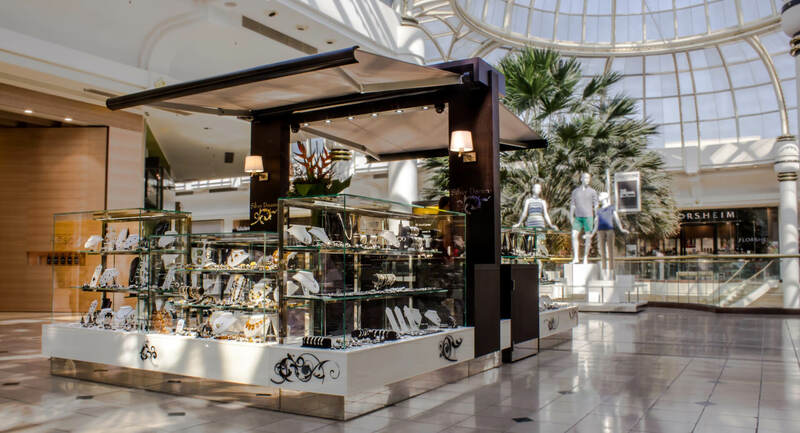 Dark-timber veneer and an automated awning add to the solidity and sense of prestige.